October Tasty Tools - Crock Pots & Slow Cookers! For October's Tasty Tools, we're highlighting crockpots/slow cookers! It's officially fall if you're like me, you might be dusting off your crockpot. Have you got a great crockpot recipe you've been meaning to try? Or maybe you have a favorite crockpot recipe you make especially during the fall? There might even be some folks out there that uses their crockpots for drinks, fondues or other creative ways. 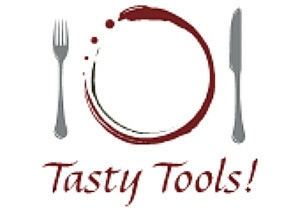 Regardless of what you make in your crockpot or even if you have a great crockpot/slow cooker tip to share, submit it to this month's Tasty Tools blogging event along with a picture of your tasty tool! 1) Make a recipe using a crockpot/slow cooker and create a blog post about it from now (the date of this post) until midnight, October 31, 2009. Any previous blog posts you have where you've created a dish using a crockpot/slow cooker (with pictures) are happily accepted. This is a great idea for an event. Off to get my crock pot. It spoils me when I make dinner before I am off to work.